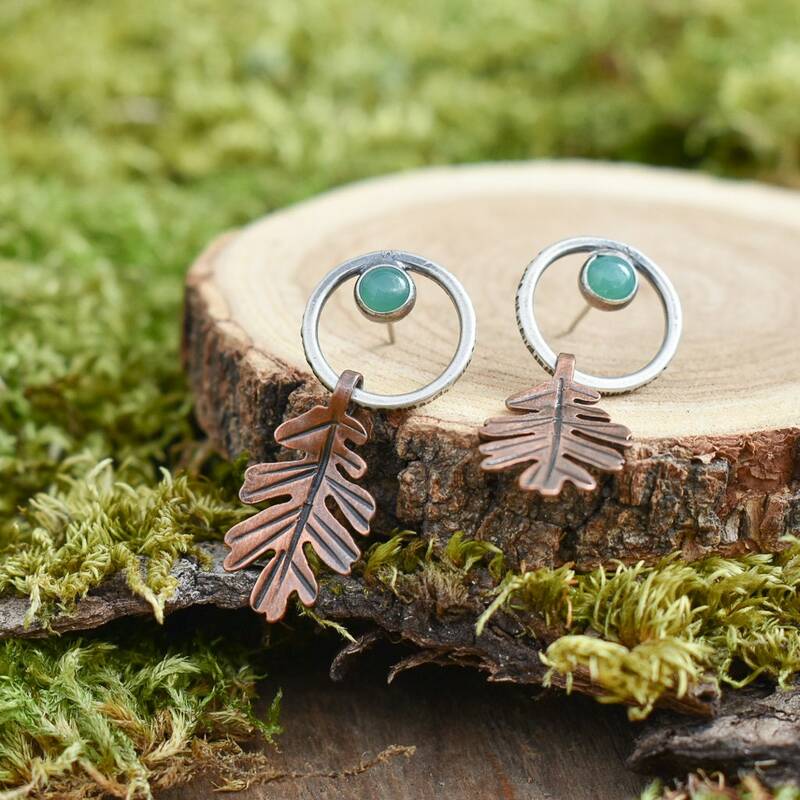 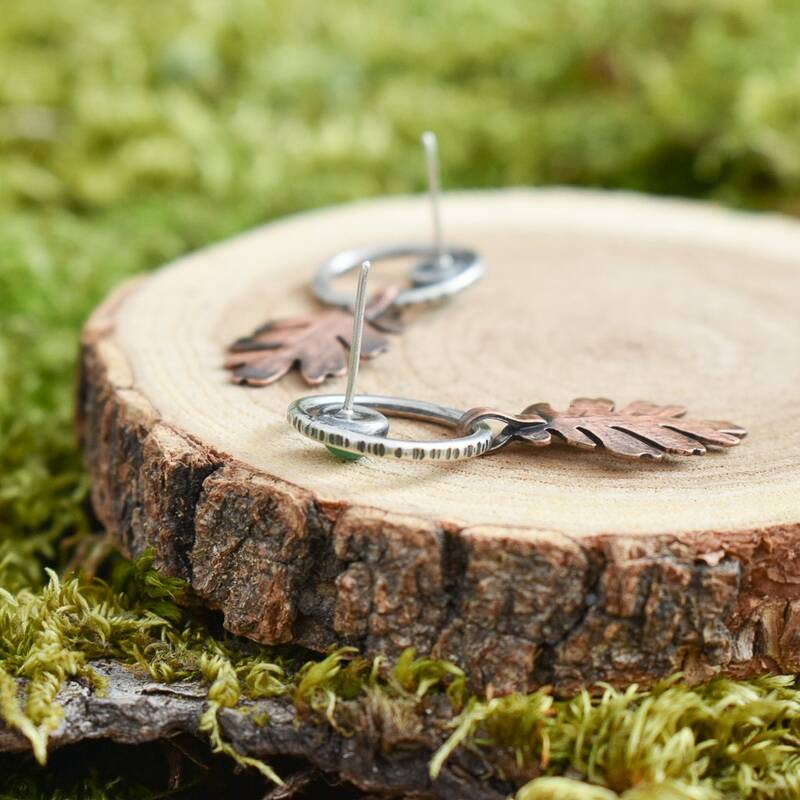 Made for a fancy night out in the forest, these earrings feature two sterling, hammer bark textured loops supporting dangly oak leaves that are cut, textured, and formed from copper. 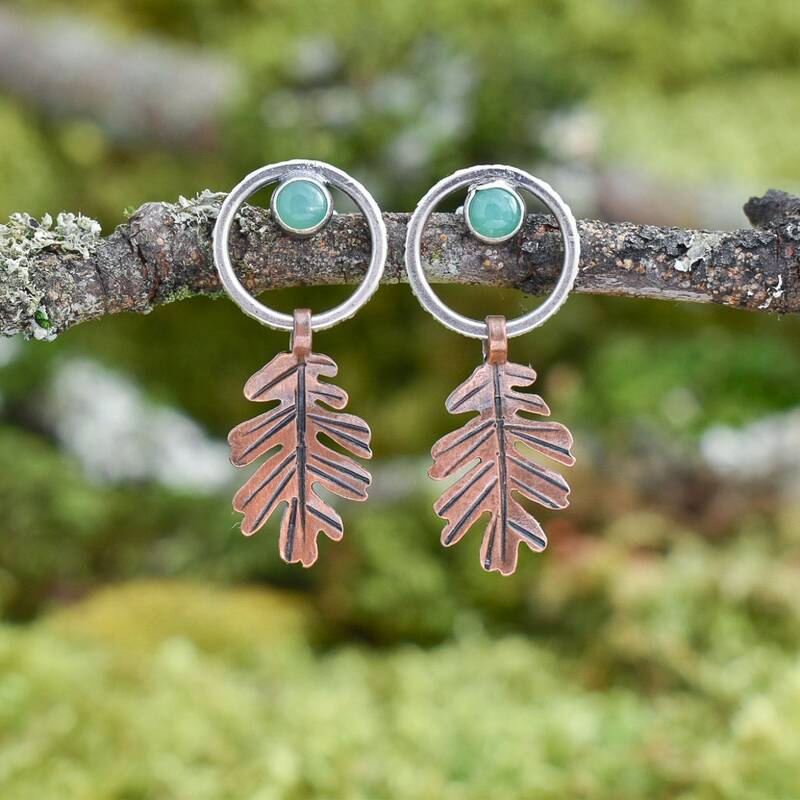 Each loop contains a gem of chrysoprase with sterling silver posts soldered to the backs. 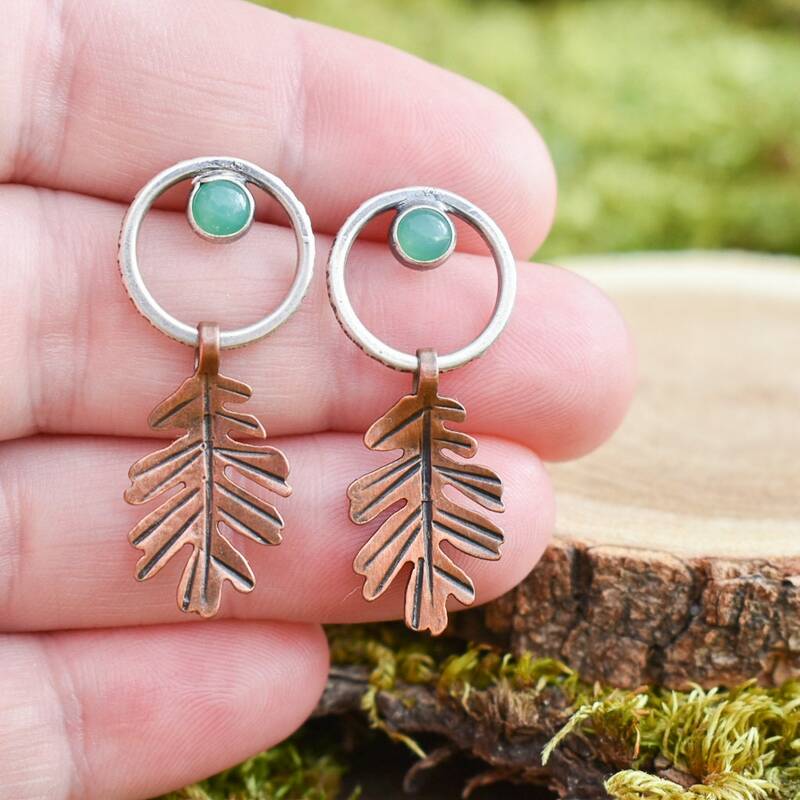 • Total Length: 1 1/2"